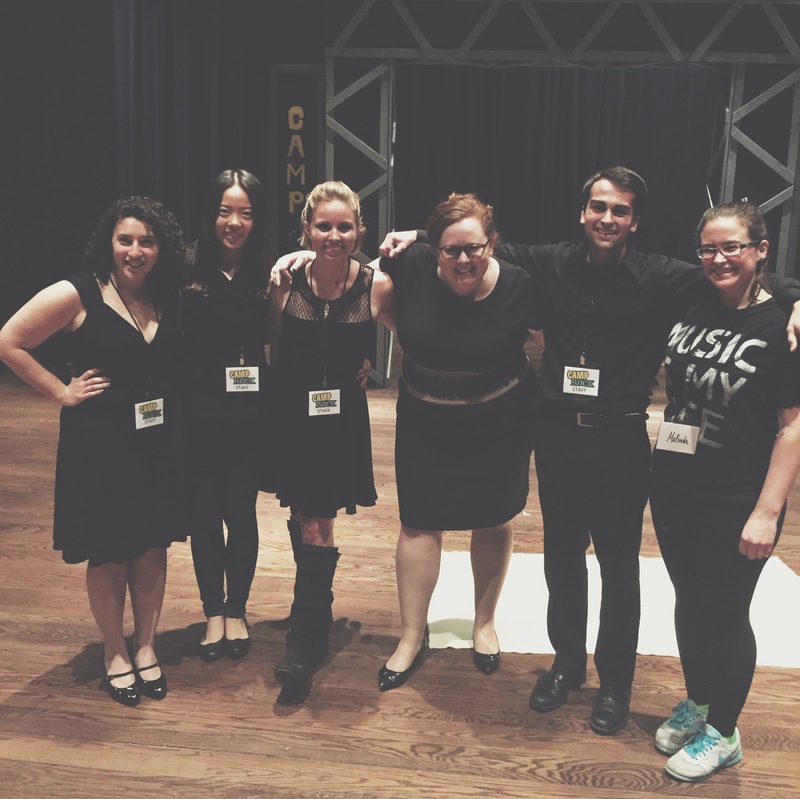 Last week Stages Bloomington (a local theatre arts organization providing music, dance and theatre experiences for young people) put on Camp Rock: The Musical! The musical is based on the hit Disney movies Camp Rock and Camp Rock 2: The Final Jam. Around thirty students grades 5-9 were involved in the musical, and they performed five shows at the John Waldron Arts Center in downtown Bloomington. Two Arts Administration graduate students, Sydney (1st year MAAA) and Binyi (2nd year MAAA), helped with production of the show. Sydney serves as Stages’ Graduate Assistant throughout the academic year, while Binyi participated in production as a practicum project. Binyi worked as Stage Manager for the show and Sydney was the Dance Captain/Associate Costumer/Production Assistant. Congrats to Binyi and Sydney on a super successful show! Sydney (far left) and Binyi (2nd from left) and the rest of the production crew for Camp Rock!